How often do you hear it said that the current crisis in Middle East is “unprecedented”? Despite being routinely parroted by our political, academic and media elites, this assertion is absolutely false. Those who make this claim are either embarrassingly ignorant of history, or desperate to excuse their utter cluelessness and/or deflect criticism from their catastrophic policy failures. Could the US-led West's objectives in Iraq have been achieved? Iraq straddles one of the most volatile religious fault-lines on the planet. Consequently, even the most basic understanding of Iraq’s sectarian dynamics and history would have given anyone considering war cause for concern. Likewise, anyone with a basic understanding of the Islamic worldview would have known that an invasion of “infidel” forces would have triggered Islamic resistance. 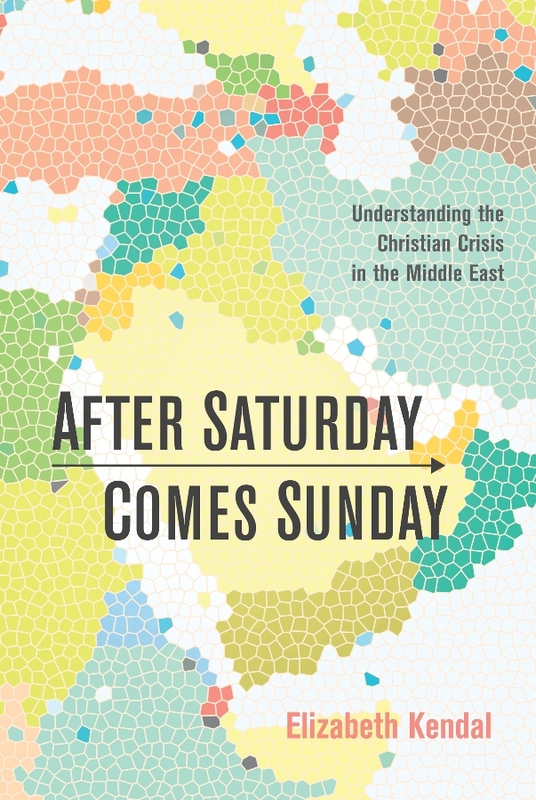 Furthermore, anyone with knowledge of the history of Muslim-Christian relations in the Middle East would have anticipated the consequences for local Christians should Islamic resistance be triggered or an Islamic order restored. The events of 1979—the successful Shi’ite revolution in Iran and the failed Sunni revolution in Saudi Arabia—heightened Islamic and sectarian zeal, and set in motion the wheels of global Islamic radicalisation. One generation later, the Middle East was a radicalised Islamic tinderbox just waiting for a spark. Had Western policy-makers truly understood and appreciated that fact, then they might have heeded the warnings and accepted an alternative. Yes, there were alternatives! 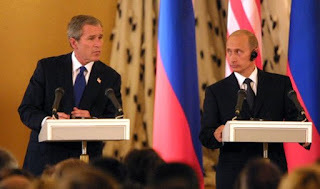 In late 2002, Russian President Vladimir Putin advised the administration of President G. W. Bush that instead of going after Saddam Hussein, it should concentrate on the real sponsors of Islamic terror, specifically Pakistan and Saudi Arabia, and put an end to the Saudi funding of Wahhabi extremism. As terrorism analyst Yossef Bodansky explains: “Russian experts warned that the problem in Iraq was not just Saddam and his weapons of mass destruction, but rather the prevailing radical militant trends. 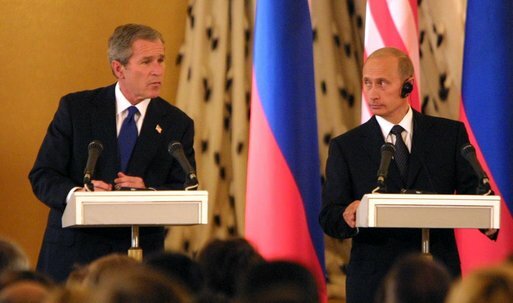 They urged the Americans to be ready to deal with radicalized populations, Sunni Islamist militancy, a radical Shiite population under Iranian influence, the flow of al-Qaeda operatives, and Kurdish-Turkish and Turkman-Arab hatred—all of which were likely to intensify in reaction to an American invasion of Iraq.” The Kremlin’s position was that rather than defeating terrorism, a US-led invasion would actually create and open new venues for terrorism. In receipt of an abundance of intelligence from all sides, the onus was on Western policy-makers to assess that intelligence. Unfortunately our political leaders were ill-equipped for the task. Lacking knowledge of history and understanding of religion; blinded by arrogance [“where everyone else failed, we will succeed!”] and hamstrung by bias [“we are not going to listen to Russia!”], they were incapable of discerning wisdom from fantasy, or interest-driven propaganda from plain hard reality. When US-led forces bombed and invaded Iraq in 2003, and removed Saddam and the Baathists by force, they liberated not “the Iraqi people”, but the Iraqi Shi’ites—facilitating the rise of the “Shia Crescent”. By 2005 Iraq, once part of a north-south Sunni bloc, was fully integrated into an east-west "Shia Crescent" (more accurately known as the Axis of Resistance) with Ayatollah Khomeini’s 1982 vision of a continuous arc of Iranian influence extending from Tehran “to Jerusalem . . . through Kabala” (in southern Iraq) awaiting only its final installment. That Iraq’s political realignment would trigger Sunni resistance in Iraq, and have regional implications for oil and gas pipeline politics, and existentially imperil the region’s US-allied Sunni regimes—was entirely predictable. in Amman, Jordan. 1 Oct. 2014. 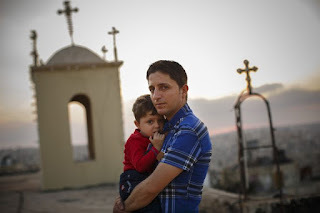 That conflict in Iraq would attract international jihadists, and result in the genocide of minorities—including the region’s indigenous Christian nation (the Assyrians)—was all entirely predictable to anyone with knowledge of history and understanding of religion. Sir John Chilcot was absolutely right to reject Tony Blair’s contention that the difficulties encountered after the invasion could not have been foreseen. What a pity the Chilcot report had not been released in 2010, before the US-led West chose to back regime change in Damascus. Elizabeth Kendal is a long-time religious liberty analyst and advocate, author of the weekly Religious Liberty Prayer Bulletin. She serves as the Director of Advocacy at Christian Faith and Freedom (CFF) in Canberra, Australia, and is an adjunct research fellow at the Arthur Jeffery Centre for the Study of Islam at Melbourne School of Theology.